The death occurred peacefully at the Riverview Manor, Montague on February 9, 2019 of "Georgie" Eleanor (Dover) Clay, of Bridgetown, beloved wife of the late Garth Clay. Born in Pisquid, Georgie was the daughter of the late George and Helen (Jay) Dover, and step-daughter of the late Catherine (MacPherson) Dover. Georgie enjoyed working with Garth on their dairy and beef farm. Georgie had a life long love of animals and she especially adored dogs. She will be missed by her dog Cindy. 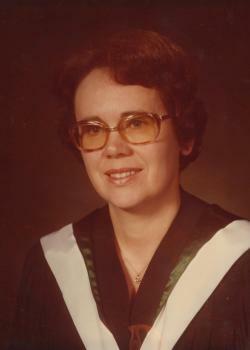 Georgie had a passion for education, teaching at Pisquid East, Mount Stewart and Morell Regional High schools where she made many friends with teachers, students and parents. Georgie will be sadly missed by: sister-in-law Phyllis MacLean (Charles); nephews Mark (Lily) and Keith MacLean (Sheila); grand nieces and nephews; special cousins Juanita Kneabone, Shirley Jay, Gail Jay and Isabell (Roy) Coffin; and dear friends Raymond Downe, Roger Acorn, Eric and Adele Wood and Brent and Paula Matheson. 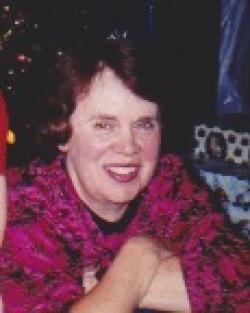 Resting at the Ferguson-Logan Montague Funeral Home, Montague, PEI, with visitation Friday, February 15, 6:00 - 8:00 pm. Funeral service to be held Saturday, February 16 at 2:00 pm in the funeral home chapel and will be live streamed. By request, family flowers only.